Yesterday afternoon, the Cape Town Ziplines, an SA Forest Adventures initiative, re-opened in Silvermist Estate on Hout Bay Road. Following a two-year closure, the site has been re-opened with GoPro partnering with Cape Town Ziplines last month. Reported as one of the brands top selling products, the partnership marks the first GoPro resort partnership on African soil. 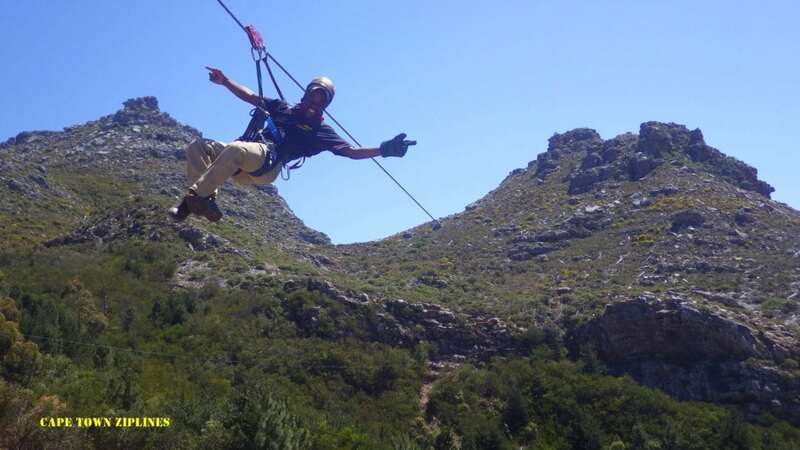 Open no matter the weather, the 2.3km Zipline tour is one of Africa’s longest and highest situated in the heart of the Mother City, easily accessible from all major transport routes including the Hop-on, Hop-off City Sightseeing Cape Town Bus. The excursion starts with an exhilarating 4×4 trail up the mountain. Boasting views of the southern side of Table Mountain as well as the Constantia Winelands stretching across to Muizenberg, the 240-metre-long cable suspended 70 meters above ground marks the start of the adventure. Cables range from 190 meters to just under 500 meters, with the tour lasting around two hours. Silvermist Estate has a number of facilities including a restaurant, conference facilities and other team building options.